San Francisco So, Mohammed went to the mountain. 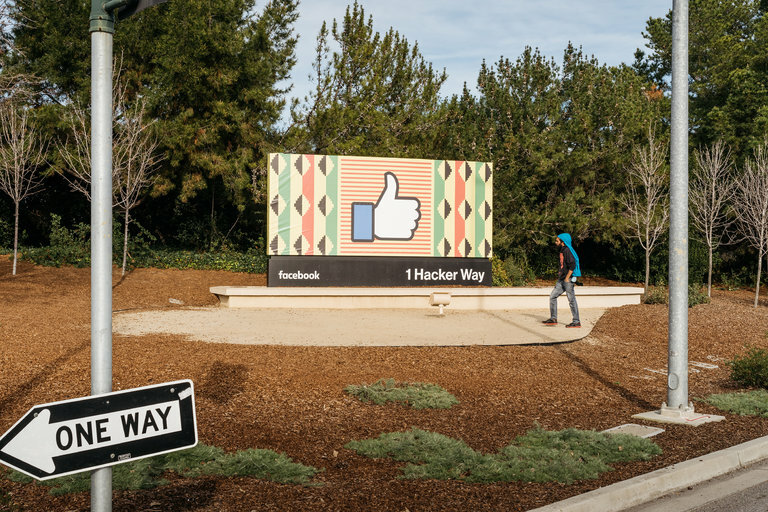 Supposedly a dozen or so big name conservatives were rolling into Silicon Valley and, more specifically, Facebook’s headquarters to meet with be top brass there to make sure the Facebook news feed and trending stories weren’t being slanted to the left. There was a lot of buildup to this peacekeeping mission before the meeting several days ago, but pretty much radio silence after that. Somewhat surprisingly, I was sent the report from one of the big names at the summit, our old nemesis, Glenn Beck, dot connector and conspiracy hunter on radio and television. Beck’s report boiled down to the bottom line was, no problem, this is a much ado about nothing, they’re making a mountain out of a molehill. He reports that between 25 and 30 folks met with Mark Zuckerberg and Sheryl Sandberg. He listened to what they had to say, and though being clear that he was a techno-peasant like most of the rest of us, he had listened carefully to his own tech people, and he thought it was one of those things where they were sincere, and it was just one guy with one beef crying that the sky was falling, and not a real problem to his lights. He was clear he had been a long time Facebook fan, and was nothing but positive about Zuckerberg. All of the concerns in the mainstream media about the responsibilities of Facebook as major news source without the proper protocols and accountability to be whispering in the ears and infiltrating the eyes of 1.6 billion, didn’t faze Beck in the least. He was good on all that. On the other hand, he had some worries he wanted to share, presumably not with the likes of me, but with his conservative readership, that offered an interesting peephole into what the other folks and the room might have been saying. 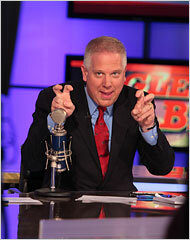 And, what his compadres were saying was worrisome to Beck, because they sounded like a much liberals to our guy, Glenn. It was like affirmative action for conservatives. When did conservatives start demanding quotas AND diversity training AND less people from Ivy League Colleges. I sat there, looking around the room at ‘our side’ wondering, ‘Who are we?’ Who am I? He also mentioned some folks that must not have left the meeting in the same “happy place” that Beck had found, like the CPAC, the Conservative Political Action Committee and some other people unknown to me. I understand why conservatives are suspicious of Silicon Valley. It can feel a lot like the main stream media. But I’ve told you many times that I feel at home in Silicon Valley. I love the energy. These are people who want to innovate and disrupt, they want the government to stop regulating their businesses, they want small business to succeed, they value personal responsibility, etc. Why they are liberal? I don’t know, but in general, they’re not Progressives, at least not the folks I met with today (though I’m sure there were a few). For anyone who thinks Silicon Valley and tech-world is somehow a bastion of progressive folks because you like your IPhone and your Amazon Prime and your Facebook, Beck is giving you the skinny. He’s “sure there were a few” out there, but he’s still looking. He observed that the real problem that under-girded the meeting and this incident is that there was no trust between conservatives and Facebook. Progressives should have the same caution and reserve trust, and perhaps like Beck, even judgement, no matter how much we love the tools. These people are scary. New Orleans In the land of the bizarre there was a brief interview with Glenn Beck, radio personality and rabid right winger in the Times recently. Finally, we can get a better sense of what really drives Beck: he just wants to be loved. He is one big, smiley lump of deeply felt grievances over real and imagined slights and in no time there was a torrential list of them cascading off the page. Al Gore supposedly didn’t talk to him about his interest in buying Current TV, according to Beck sending a message back that he “didn’t want to sell” to Beck. Beck on the other hand both believes that Gore sold Current for twice what it was worth, proving what, that Gore is Mr. Free Enterprise and Beck is opposed to letting the market set the price? No, Beck draws the conclusion that Gore likes Al Jazeera better than him. I think Gore has proven he likes the big dollars more than either of them. Beck has his feelings hurt that in his words “I’m the guy who lives in Dallas who did not get an invitation to the George Bush Presidential Library opening.” We are led to believe that Beck thinks he should have an invite even though he had called for Bush’s impeachment. Here is a guy missing some big social clues. Beck loved New York City he says, calling it one of the “greatest towns in the world” and claiming he wanted “to live in New York my whole life” but found the city “unbelievably close-minded.” He is surprised that people “hate” him “all over the world,” yet promises to hunt down progressives like an Israeli Nazi hunter” because we “are the biggest danger in the world.” He claims to believe that anyone who disagrees with him about the size and responsibility of government “always leads to millions dead – always.” Then elsewhere claims that “most Americans want to get along. Why can’t we do that? What has happened to us?” Dude, listen to your own show. Read your own quotes! You can’t be a cheerleader of hate, and really wonder why everyone is not showing you the love. In a final piece of ridiculousness he believes that Levi’s jeans, which he also claims to love, “branded themselves the uniform of the progressive movement,” so he started his own jeans company for something to wear. I’ve always found Beck fascinating, but it appears talking to himself on the radio and listening to little but his own voice has made him a conservative teddy bear on one hand, and a bull goose crazy person on the other.